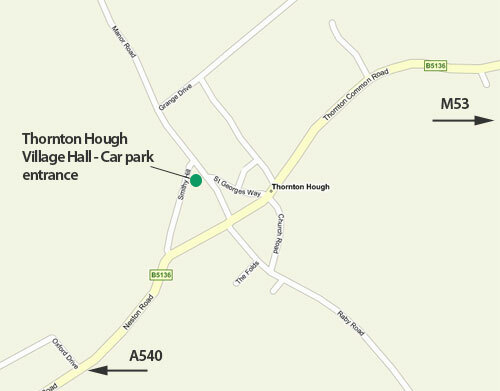 The Hall is in Thornton Hough Village, the car park entrance is off Smithy Hill and the pedestrian entrance is off Manor Road - PLEASE NOTE that CH63 1JB is not located correctly on either Google or Bing Maps!!! If using GPS then try CH63 1JJ which takes you to the Church on St Georges Way. Download a map for printing. Email: Please click on this link: info@thorntonhoughvillagehall.co.uk and send us an Email. 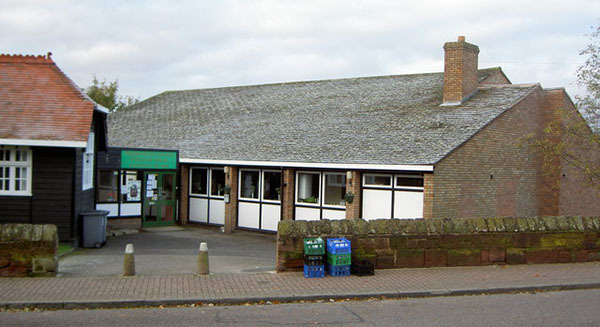 Please download the booking form in Microsoft Word or PDF and post to Thornton Hough Village Hall, Manor Road, Thornton Hough, Wirral, CH63 1JB with the appropriate deposit of £60.00 or call in during office hours to fill in a booking form and pay amount due.